Since launching via Steam Early Access last year, PlayerUnknown’s Battlegrounds has been on an unstoppable roll. 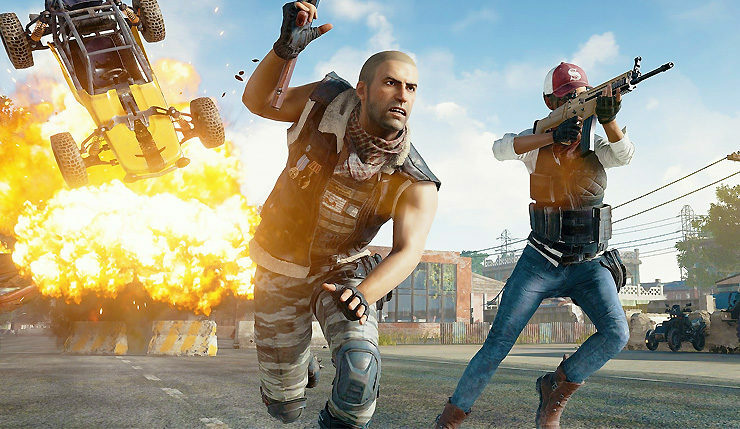 Every month PUBG sells millions of new copies and breaks Steam player count records, but it seems the momentum may finally be slowing. 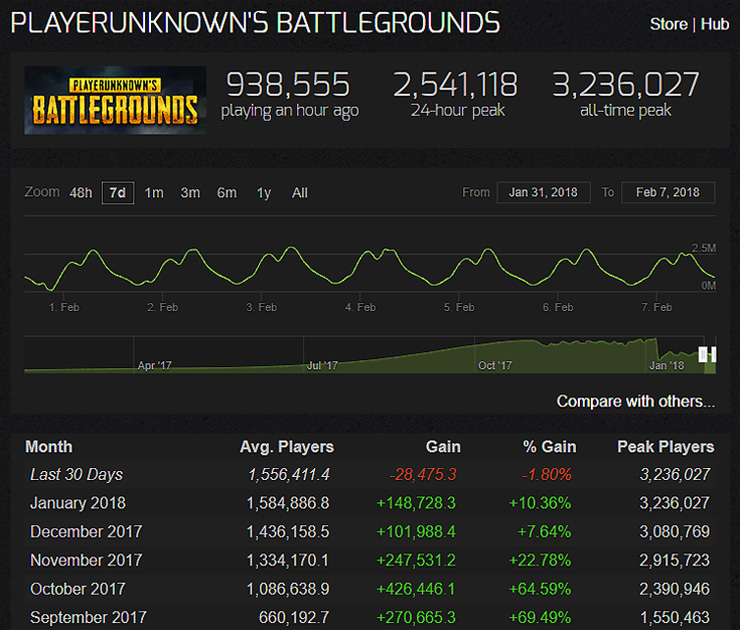 According to the stat trackers at Steam Charts, PUBG’s playerbase has declined for the first time ever. Over the past 30 days, the average number of concurrent PUBG players on Steam has gone from 1,584,886 to 1,556,411, a loss of around 29,000 players or 1.8 percent. That may not seem like a big deal, a decline that modest would be cause for celebration for most games that have been on the market for nearly a year, but it’s a major change of pace for PUBG. Until very recently, it felt like the game’s fanbase would never stop growing. So, what derailed the PlayerUnknown’s Battlegrounds freight train? Well, there are a lot of potential factors. PUBG is facing increased pressure from competitors like Fortnite Battle Royale, the much-hyped desert map hasn’t been a big hit, some players may have abandoned the PC for the Xbox One version, tough new anti-cheat solutions are wiping out literally millions of accounts, and Chinese interest in the game seems to be waning. That last one is particularly interesting, with Steam Spy speculating some Chinese players may have decided to hold off for Tencent’s official release of the game (Steam is widely available in China, but it exists in a legal grey area). Could PUBG be reaching the limits of its potential? Maybe, although the game is far from finished. There’s no way PUBG could keep its 2017 momentum up forever, and maybe it’s better things slow down. Perhaps now the makers of PUBG can take a breath and focus on improving the core experience. And hey, who knows? Maybe this decline is just a momentary blip. What do you think? Is PlayerUnknown’s Battlegrounds on the way down, or is this just the calm before the even bigger storm?